On the fourth day of Christmas, I'm sure you'll all let me know that I'm out of sync because Christmas Eve doesn't count, and we're now on the third day ... but as I thought I'd probably miss out somewhere, I'll get there in the end, with 12 days of gardens, somewhere in the world. 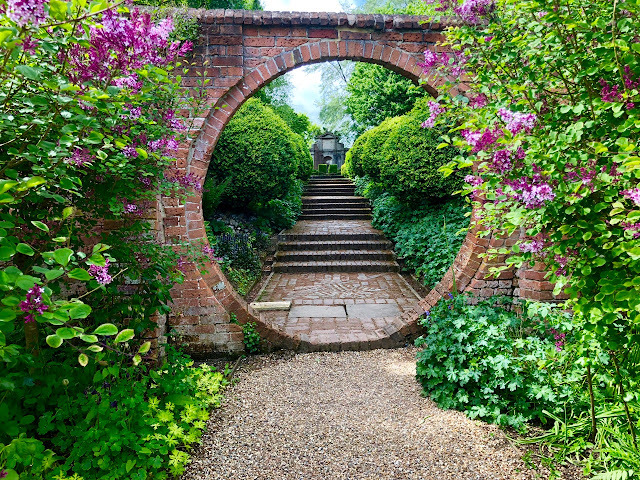 My choice for today is The Laskett in Herefordshire, the wonderful, magnificent garden designed by Sir Roy Strong and his late wife, Julia Trevelyan Oman ... and the really good news is that is it opening to the public in 2010 - thanks to My English Country Garden for this wonderful news!! 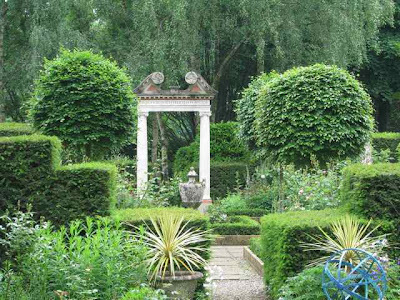 This fabulous garden is pure theatre! Every corner you turn reveals another stage set and you will be left gasping - it's stunning, it's different and it's unique! 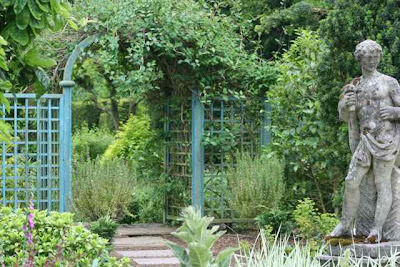 And I'm sure it will get as crowded as Sissinghurst when Sir Roy opens his doors to the public next year, because so much has been written about this garden, yet so few people have been able to visit it. I sincerely hope not, but fear that this will be the case. When Sir Roy and his wife bought the house in 1973 there was no garden at all - just a plot of land - and his book "The Laskett: The Story of a Garden" makes riveting reading if you're interested in the history of this property. 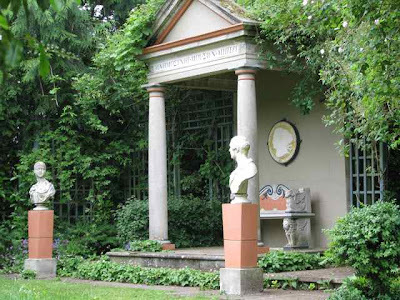 I'm not going to write a huge piece of editorial about The Laskett here, because the property speaks for itself - I've visited hundreds of gardens in the last two years, but this one is quite exceptional - so plan a visit in 2010. You won't be disappointed. I waited three years to get here and am still talking about it! 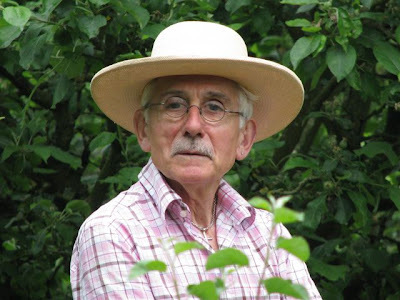 And you may even catch a glimpse of Sir Roy (above) - the man who made this incredible garden - former director of both the National Portrait Gallery and the Victoria and Albert Museum in London, he has now made a garden that he is leaving to the nation. He looks like a kind hearted soul. What a lovely garden he and his late wife created together. 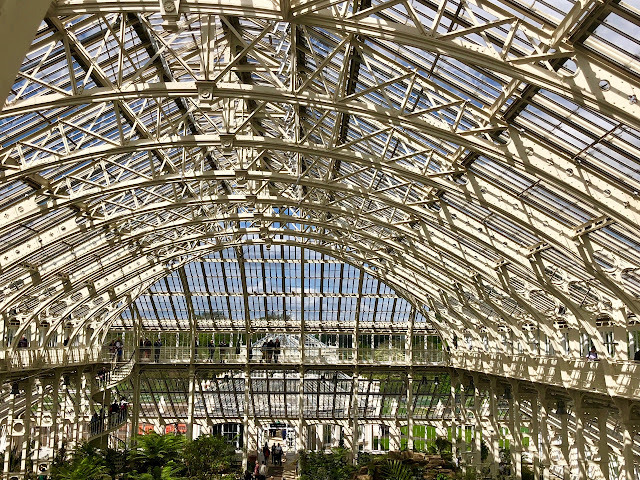 How wonderful that it will soon be open to the public. What a delight that he created a masterpiece of a garden and is leaving it to the nation. 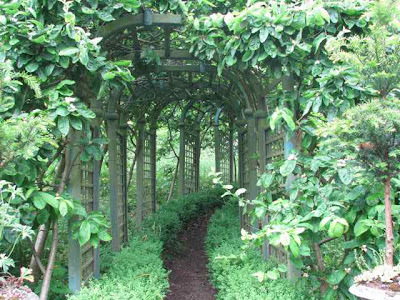 that covered archway looks wonderful - makes me want to know what is at the other end. What a wonderful garden tour you've given us. I've heard of this garden before, but never seen it. May have to put it on the list next time I go to England. What a beautiful garden and so special to leave it for the world to see. How I hope someday I can travel that far and see it and many others. Thanks so much for sharing and for visiting my post the other day. Charlotte, I am glad that I went back through the posts I missed over Christmas. I love this garden. Your pictures are fabulous, I different view then the ones I have seen so many times before. I have to start saving my pennys!